Few weeks ago I was wandering among the stalls of a vintage fair, when I was so lucky to find original bridal sewing patterns of the sixties, what a treat and what a step back in time. The 1960s saw the effects of Mary Quant's miniskirts and the dramatic 60s fashions worn by Twiggy that highlighted the bust, reflecting on bridal style too. 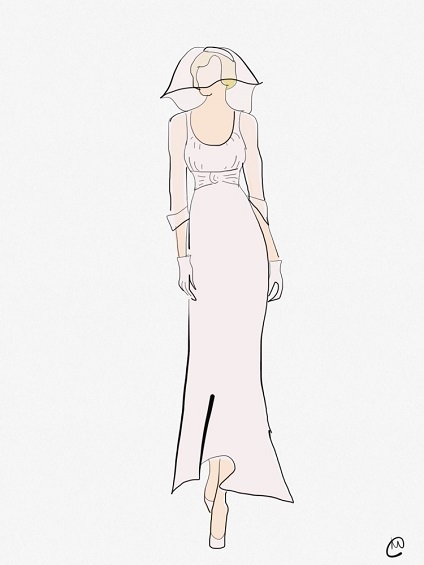 The first iconic wedding gowns of this era which pop up to my mind are short, late in the sixties, Audrey Hepburn, Yoko Ono, Sharon Tate, Cilla Black to name a few. A fashion must during the heady days of the 'swinging 60's' with the women's movement happening, brides opted for the popular shift dress silhouette, a simple tubular shape that allowed them more freedom of movement and make them look fabulous. On the right: 1969: Britt Ekland on her wedding to Peter Sellers wearing a babydoll style wedding gown. On the right: A real wedding from the sixties, the sullen little girl is me, my first wedding. Thank you all for joining me in this leap into the explosion of sixties fashion and get a bit of taste of it. I wish I could talked about two of my favorite weddings of the sixties, keep in the loop, I will as soon as I get enough fresh new archive materials. I look forward to seeing you all soon, the more the merrier, on: “Le Vintagerie Wedding by Esterita” … Stay tuned. Thank you so much to Esterita di Cesare for sharing with us her valuable advice. 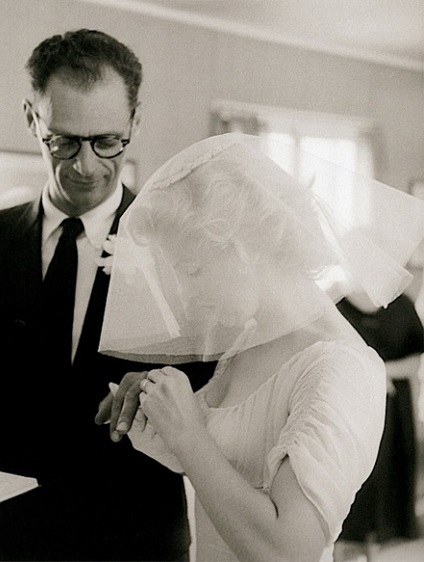 Marilyn Monroe and Arthur Miller : A wedding dress that has made history. Every day, in the world, there is an anniversary to celebrate, something to remember, due to all the occurrences went on since ever. For instance today, June 29th, in Rome, we solemnize the patrons Saints Peter and Paul, but in Haro, Spain, they have the famous “La Batalla del Vino” (the wine battle) and in Milan, my friend Laura will turn her 40th birthday… In New York, exactly 61 years ago, in June 29th 1956, a worldwide celebrity Marilyn Monroe was getting married to the playwright Arthur Miller: one of the most famous wedding Hollywood can remember! 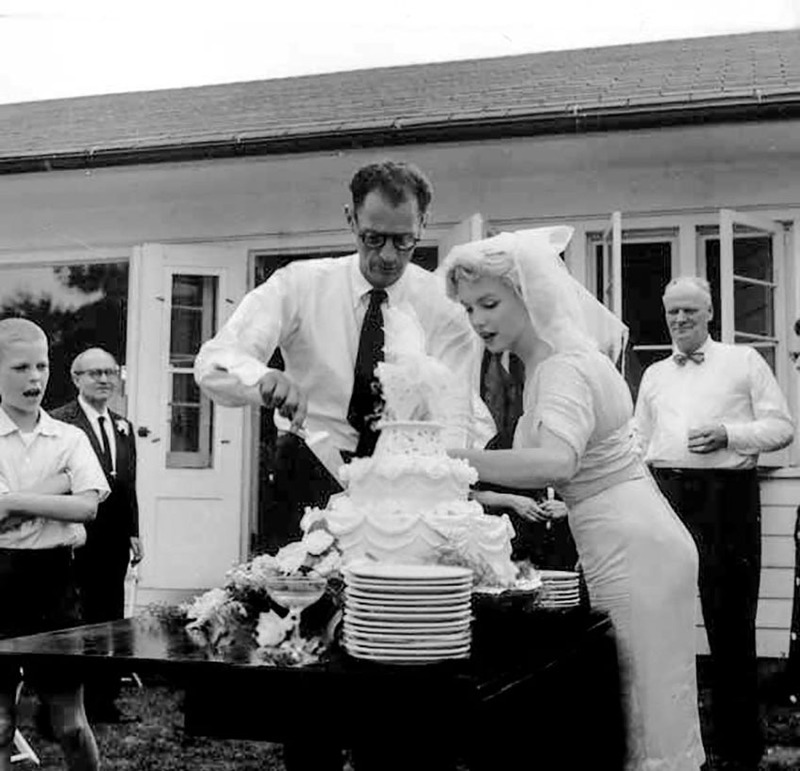 There was a total media frenzy surrounding the relationship between Marilyn and Arthur Miller. They met in Los Angles in 1951, when he felt in love with her at first sight. After that they didn’t meet again for the next four years. 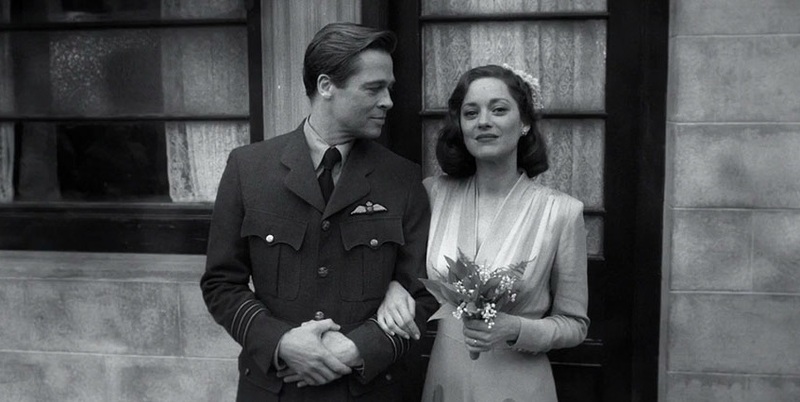 The first time Arthur Miller spoke about his intention to marry the actress; it was during the hearing before the Committee on Un-American Activities. 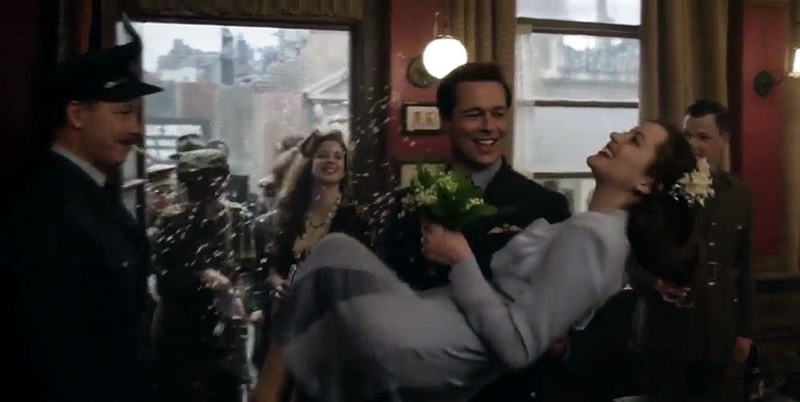 The hearing ended on June 21th 1956, eight days later they got married in secret at the Westchester County Courthouse in White Plains, New York, with only two witnesess. She wore a pencil brown skirt topped by a beige sweater and no hat. 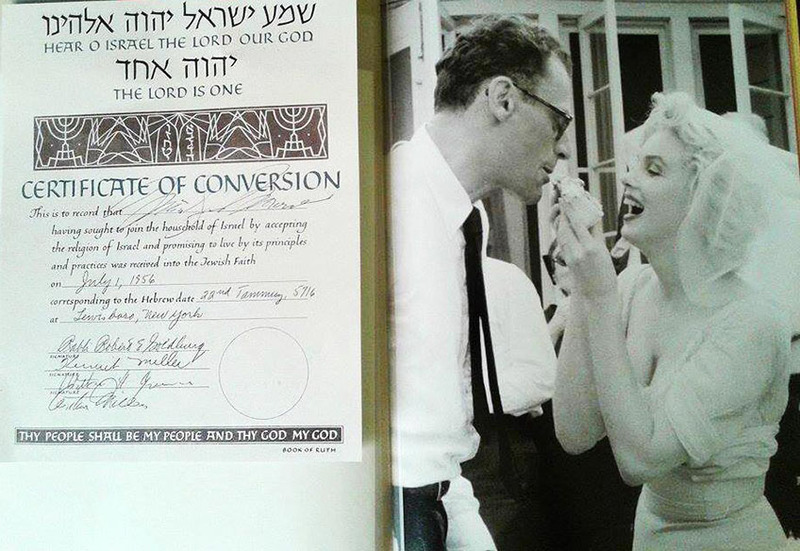 Marilyn already converted in Hebraism a few days before, so the couple could celebrate an intimate Jewish ceremony, with Miller’s family and some friends: that’s when she wore one of the most famous wedding dresses in fashion history, designed for her by Norman Norell and costume designer John Moore. In a light beige muslin with a satin sash belt, the gown had the iconic line of the 50s dresses, magnifying her perfect goddess body shape. As she couldn’t find the right veil to match the dress, she dyed it in coffee -American coffee, not expresso, of course!-. The short length and the impalpability of the veil allowed admiring her characteristic blonde hairstyle. In 1953, on “Gentleman prefers blondes”, she wore, together with Jane Russell, another amazing iconic wedding dress, calf ankle length, in refined lace and tulle. In one of the many displays of my vintage bridal atelier, I put coincidentally the two styles together. Both the dresses, originally from 1950s, received a lot of appreciation by the customers, who said they reminded them of the movie “Gentleman prefers blondes”! Isn’t that funny? 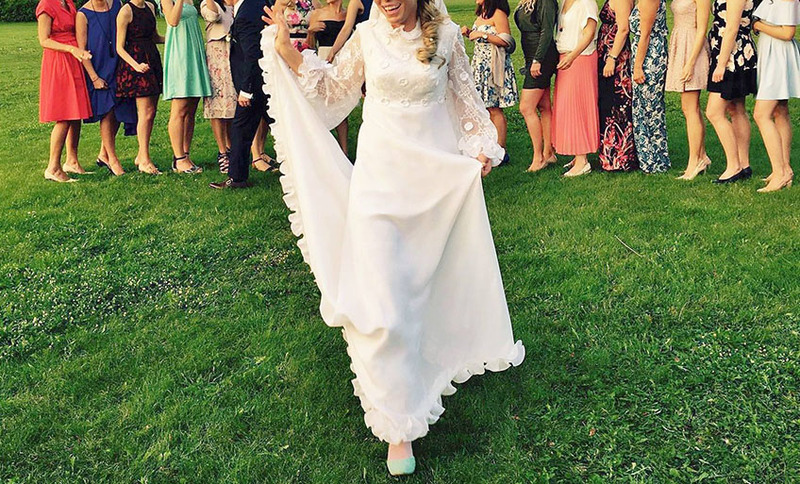 By for now and stay tuned on “Le Vintagerie Wedding” for more and more about vintage bridal! Who is in to be like a style icon, just for one day? An original vintage Pencil line, ankle-lenght, cream-coloured Silk shantung with two small fabric belts. 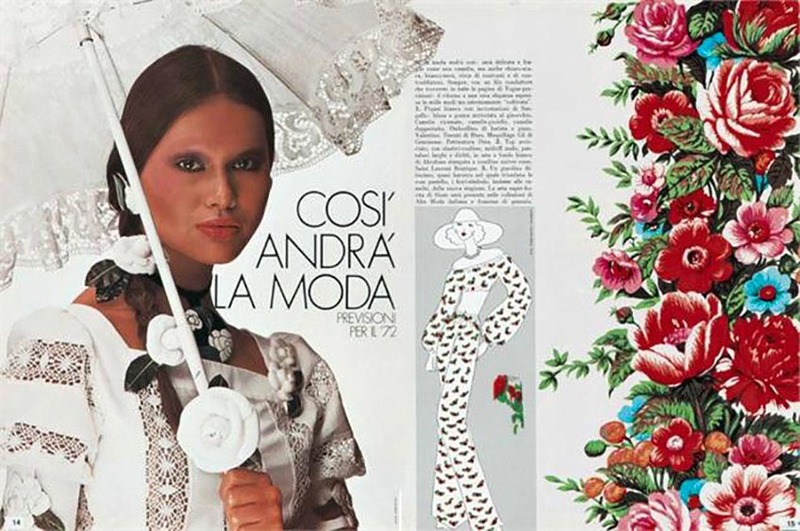 Thank you so much to Esterita di Cesare for sharing with us a piece of vintage fashion history. 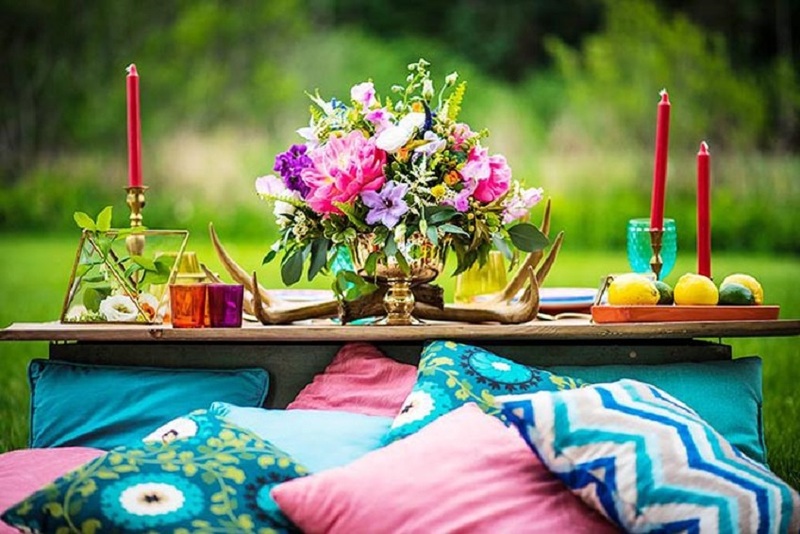 So often, nowdays, we hear about ‘boho’, ‘shabby’, ‘country’ wedding, but…why? The reason is probably due to a need of our society to go back to a more simple life, more in touch with Nature, loose from all these conventional and formal cerimonies where we have to respect unconfortable etiquettes. 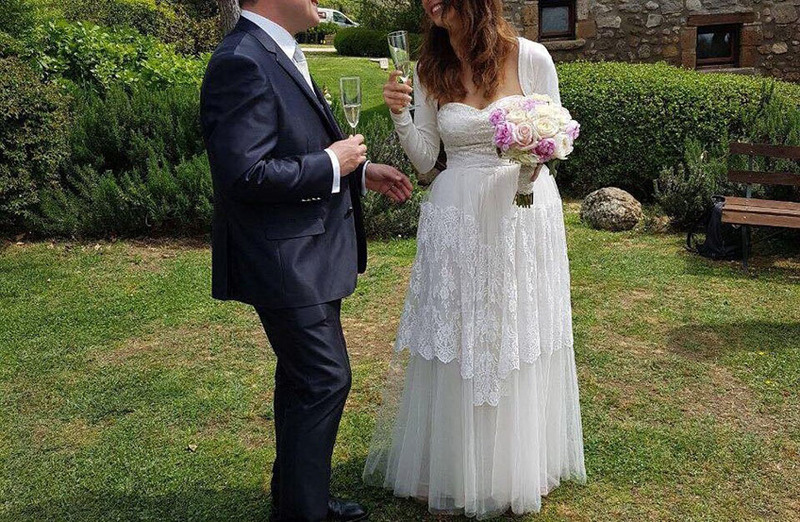 Shari and Adams, in a Vintachic 1980s wedding dress, in a northern Italian vineyard. 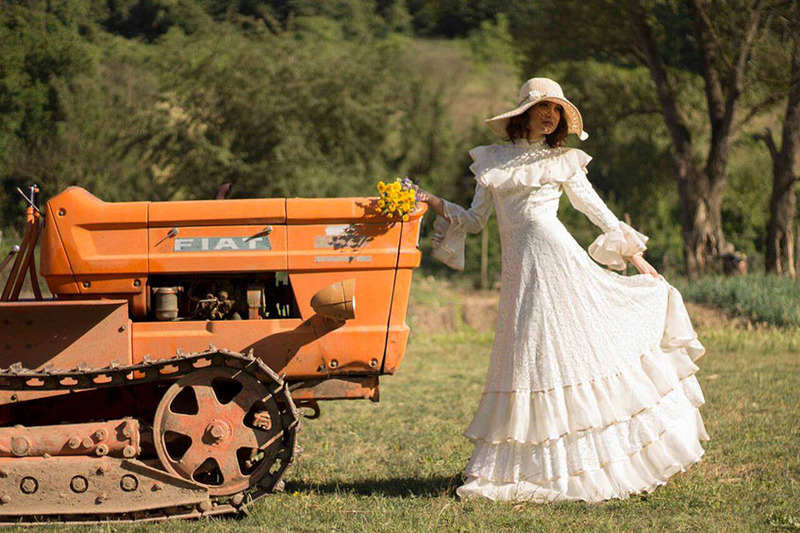 However, a country wedding does not mean to exclude good manners, of course: many Personalities and Celebrities solemnize their own wedding in a bohemian style. It’s just a way to feel more freer and comfortable spending a beautiful day out of the city, in a perfect vintage style. The french word bohémien borns in 19th century, as a gipsy style of life, representing a nonconformist lifestyle which, a century later, from Woodstock, in 1969, throught all the 70s, will be called hippie! 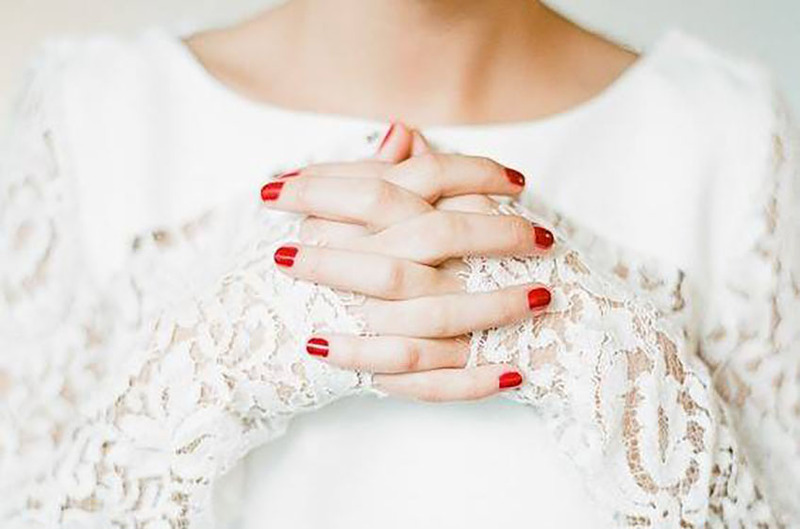 This decade is famous for that boho-chic fashion, still so beloved and current, especially for bridal gowns. This dress, sophisticated and sober at one time, made of cream lace and silk organdy ruffles of our vintage collection, is a pearl of Italian tailoring from 1970s. This is a real one of a kind: a silk organdy white dress with water lily applications, another masterpiece of a famous Old Italian atelier in Venice, dated 1960s. So, for all those future brides who are inpired about having a vintage style pitched wedding party, I will be available for any suggestion, advice or wedding dress proposal. Many blogs talk about wedding and many of them about vintage wedding. This is why I thought it was the right time for me to introduce “Le Vintagerie Wedding by Esterita” which is supposed to be one of a kind, as the blogger besiside to be an excellent knower of Vintage, is also the owner of a vintage bridal boutique, VINTACHIC, with a collection of over 300 gowns from 1880 to 1980, that makes the store unique in Europe. 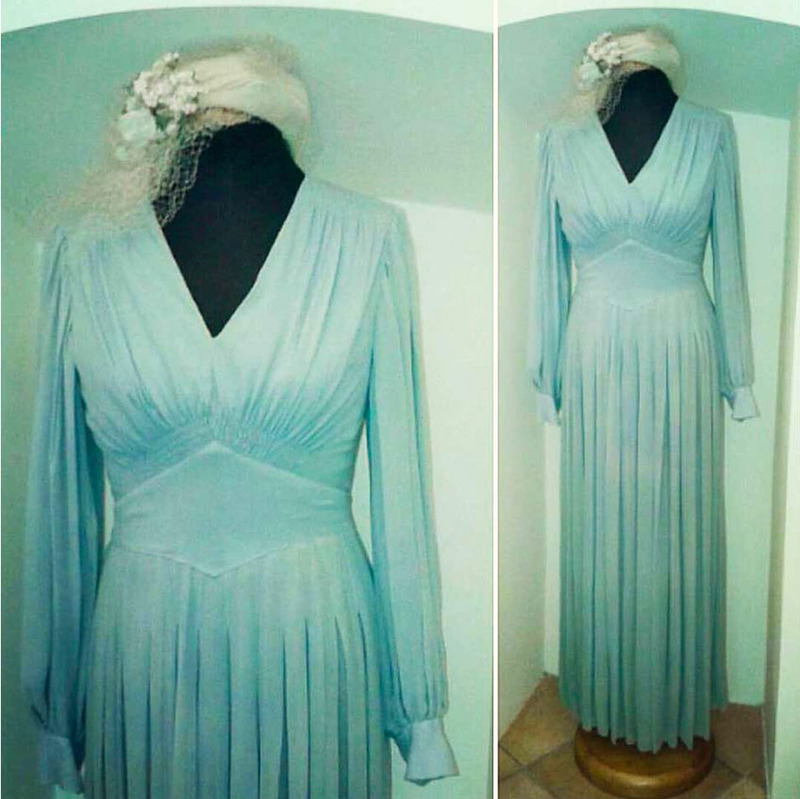 My future Brides not only will certainly find a unique wedding dress, but they will also benefit of my vintage consulting. Thank you so much to Esterita Di Cesare our vintage specialist, see you soon ... I don't know where you'll bring us, stay tuned and keep following us.